And all the year after physicians may play. Ramsons, otherwise known as wild garlic (Allium ursinum) is one of my very favourite things to forage. Unlike a few other things which grace my plate at this time of year, I didn’t start eating them just because they were good for me, but because they are so unbelievably yummy! As luck would have it, they also happen to be an exceptional food for promoting health and wellbeing. As part of the same family as onion and garlic, they exhibit many of the same antibacterial properties, being useful to ward off infection and traditionally used to treat wounds in Scotland. As with normal garlic, Ramsons is a pungent remedy that aids the heart and circulatory system. It can help balance cholesterol and is therefore of use in preventing arteriosclerosis and boosting the memory. Maria Treben recommends it for “heart complaints and sleeplessness arising from stomach trouble and those complaints caused by arteriosclerosis or high blood pressure, as well as dizziness, pressure in the head and anxiety.” I would also recommend it for low blood pressure as its gift lies in its ability to equalise the circulation. 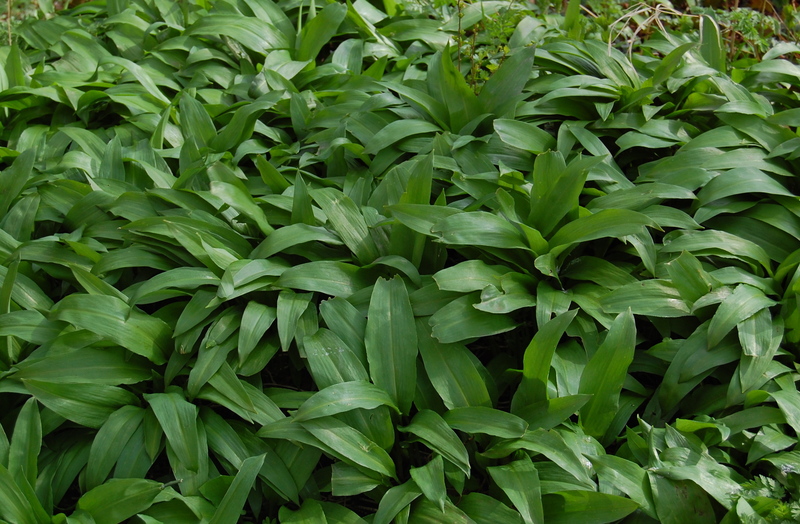 As a blood cleanser, wild garlic is a wonderful addition to the spring diet and is of particular use in chronic skin conditions due to its alterative properties. It’s also a specific remedy for problems of the gastro-intestinal tract, helping everything from IBS to colitis to expeling parasites. It is particularly useful for bloating and gas due to its ability to balance the gut flora and discourage ‘unfriendly’ bacteria. Many people recommend adding ramsons to soups, bakes, stews etc, but I find it loses its flavour very quickly when cooked so I prefer to eat it raw, sliced thinly in salads, as a garnish or as a delicious pesto. 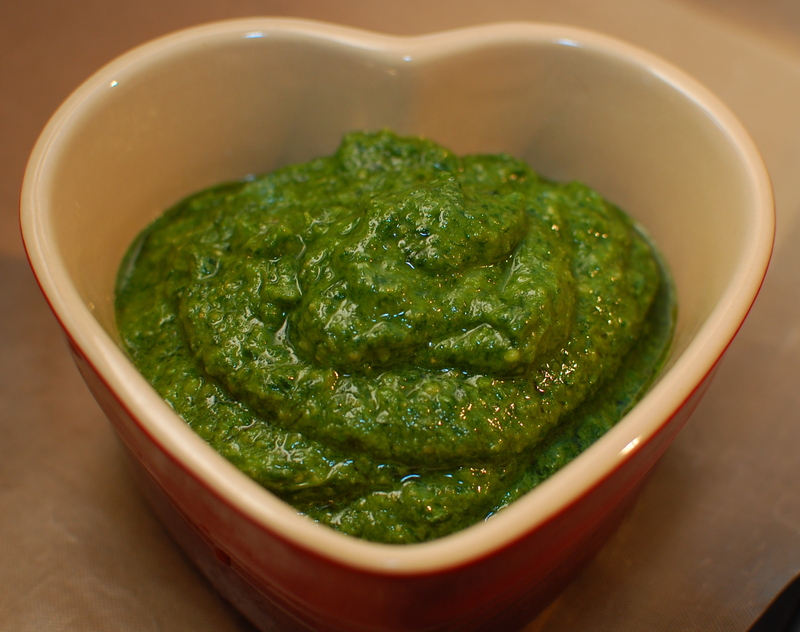 To make ramsons pesto blend a couple of large handfuls of leaves with a 1/4 cup olive oil and a small handful of pine nuts or cashews. Its pretty potent and intensely garlicy so I don’t recommend it before a first date! Mix it 50/50 with basil or parsley to tone it down a bit or with other wild foods such as chickweed. It’s so vital and green you’ll feel healthier just looking at it! You can find it growing in damp, shady woodlands and hedgerows or by streams, throughout the spring. It produces beautiful delicate white flowers a little later in the season which can also be eaten. 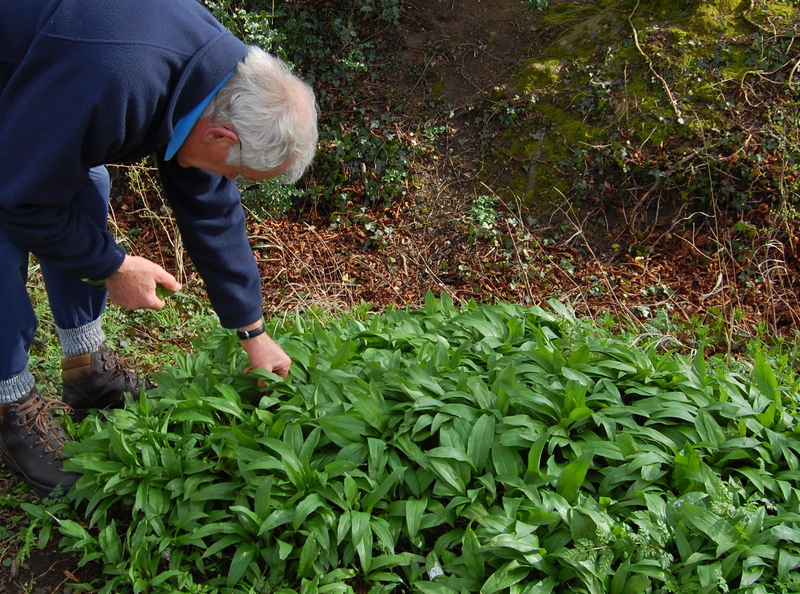 Be careful not to confuse its long green leaves with those of Lilly of the Valley, which is poisonous – you can easily tell the difference however because of the intense garlic aroma which belongs to Ramsons.